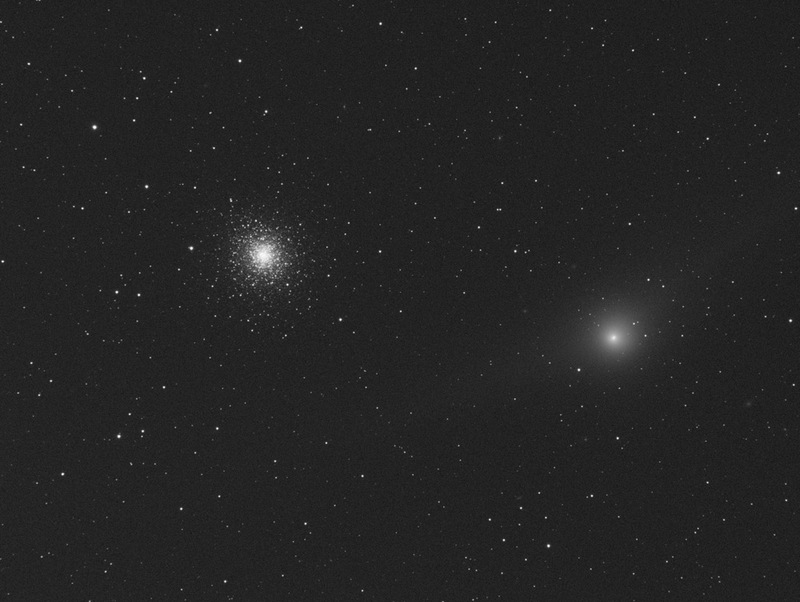 M92 and the Comet Garradd. On 02/03/2012 Comet Gerradd passed within 1/2 a degree of gobular cluster M92. This time lapse is assembled from one frame every 5min. There are a total of 18 frames in this video. This is composed of 6 red filtered frames, 6 Green filtered frames, 6 blue filtered frames. By clicking on the link to the video. The time lapse will load to your video player, you can then loop the video to make it easier to see the comet.